Eco-Friendly Toys. Made in America. 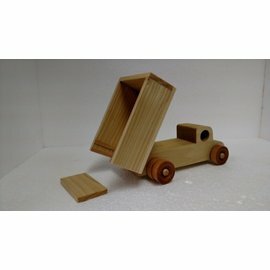 We design toys with a simple, old school wooden style. 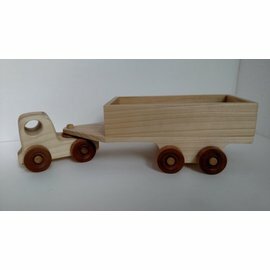 These are toys that look like they could have been hand crafted by a skilled wood worker, designed like a real truck. But our toys are made using state of the art manufacturing processes and materials, right here in the USA. Everything we use to make our toys - every sourced material, every tool and every supplier we use is American. Our toys are fun to play with! 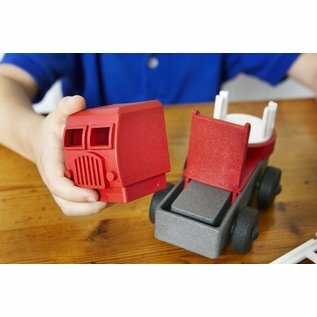 Think of a 3D puzzle that becomes a truck when assembled. Designed for small hands, the toys are made with a bit of wiggle room, so that kids with developing motor skills are not frustrated. Our target age is 3 and up - just at the point where kids are outgrowing "baby toys" but aren't quite ready for the precision required for more complicated building toys. Parts from one truck can be mixed and matched with parts from the other three trucks. Colors are molded in, not painted on. So there's nothing to flake off. No BPA or Phthalates are in our toys. Our toys meet or exceed all USA safety standards. The plastic part of our toys is Polypropylene, one of the safest plastics in existence. Our goal is to balance eco- friendly with safety and sustainability, while making toys that are affordable and fun. Kids love fire trucks. When we first started thinking about making these trucks, we decided to start with this truck. 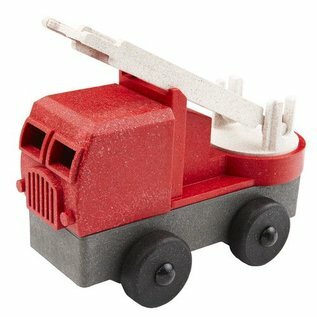 We noticed that the fire trucks were the first toy a kid picks up in the truck aisle. Our truck has 5 parts, which presents an easy puzzle to solve. 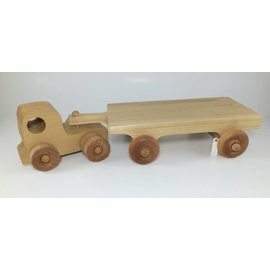 The parts fit together without frustration and the reward is a fully functional truck that can be used in imaginative play. Created by Luke's Toy Factory in Connecticut. "As a small boy, Luke Barber couldn't get enough of trucks, cars, trains... anything with wheels. That passion has never left, so it made sense that he would learn to design toys and bring them to life. 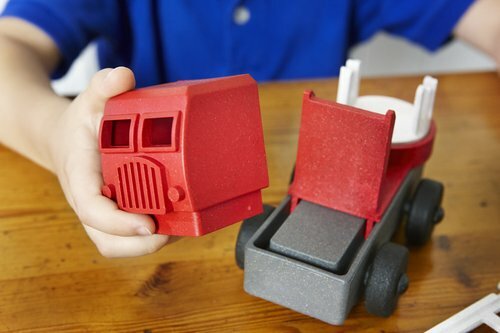 Most importantly, Luke wanted his toys to be made here in the U.S. with locally sourced materials. And they are!"